Nice swimming pool. Easy travel to the airport, ~25 minutes. Friendly host. The view is perfect, a lot of kitchenware in the kitchenette, friendly hosts. The warm welcome and the view. Also the food and the wine made by the owner himself. A fabulous location on the headland above Agia Pelagia and literally a 5 minute drive down to the beautiful sheltered beach with crystal clear water and hundreds of tropical fish to swim with....take a mask and snorkel! Шикарная вилла, отличный отдых, отличный пляж рядом. Потрясающий вид из окна на море горы. Много места для парковки но за пределами виллы. Персонал доброжелательный и позитивный, быстро отвечают в почте даже поздно вечером. Настоятельно рекомендую! Lock in a great price for Pennystella Apartments – rated 9.1 by recent guests! 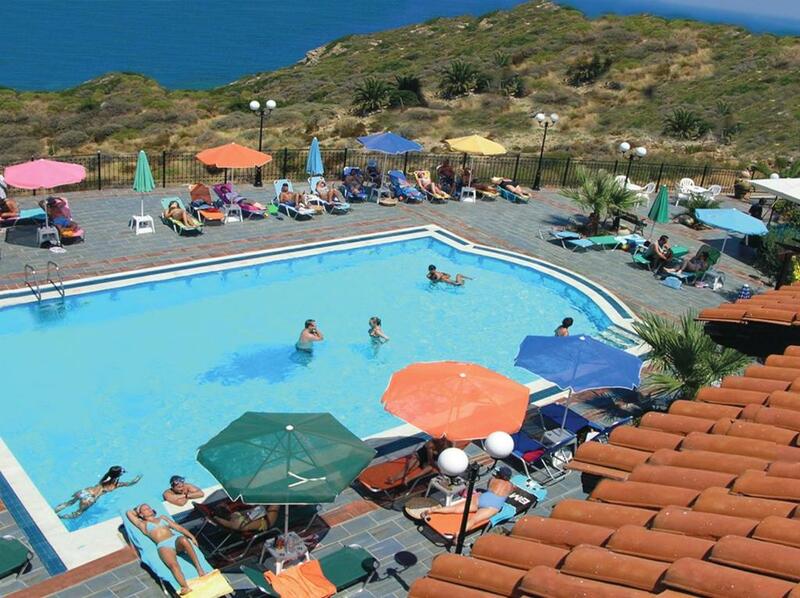 Just a quarter mile from the sandy Agia Pelagia Beach in Crete, Pennystella Apartments features a pool with a sea-view terrace and a snack bar. 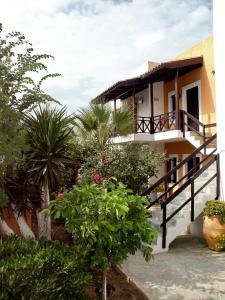 It offers accommodations with free Wi-Fi and a furnished balcony or patio. Overlooking the Cretan Sea, the pool or the surrounding area, the studios and apartments of Pennystella have a kitchenette with dining area. Each air-conditioned unit comes with a fridge, stove and a TV. 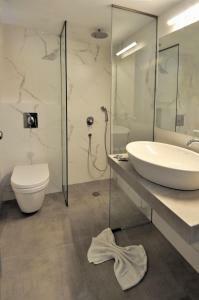 The private bathroom is stocked with a hairdryer and free toiletries. Guests can start their day with a continental breakfast served daily at the dining area. Cretan and Mediterranean flavors are served at the on-site restaurant, while drinks and coffees can be enjoyed at the poolside bar. 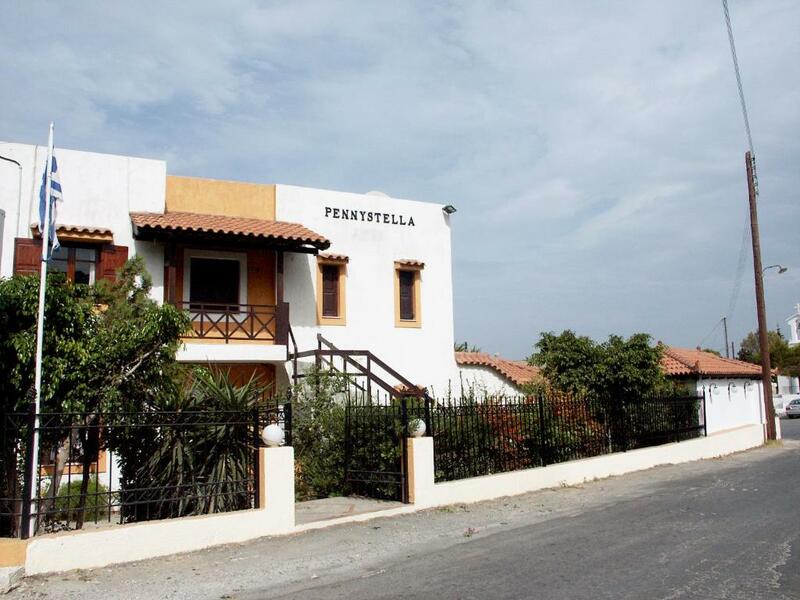 Pennystella Apartments is 9 miles from Heraklion City and 13 miles from Nikos Kazantzakis International Airport. The seaside village of Panormos with its sandy beach is 19 miles away. Free public parking can be found on site. 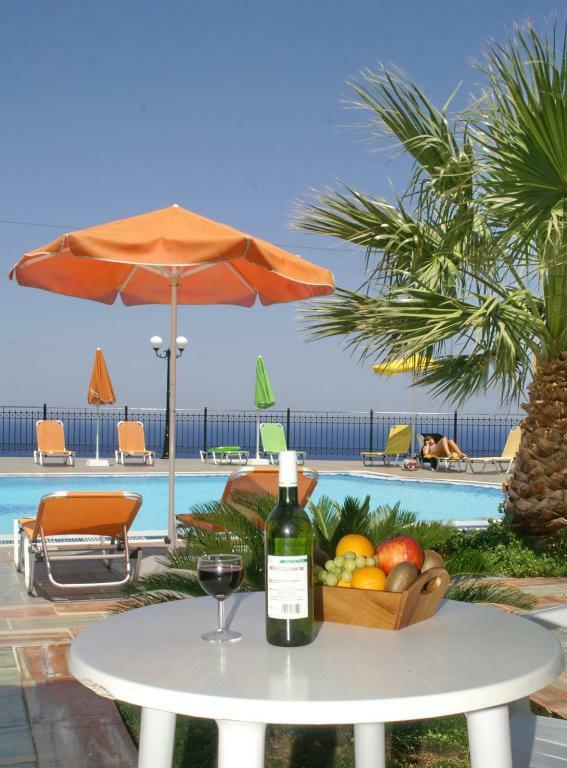 뀐 Located in the top-rated area in Agia Pelagia, this property has an excellent location score of 8.8! 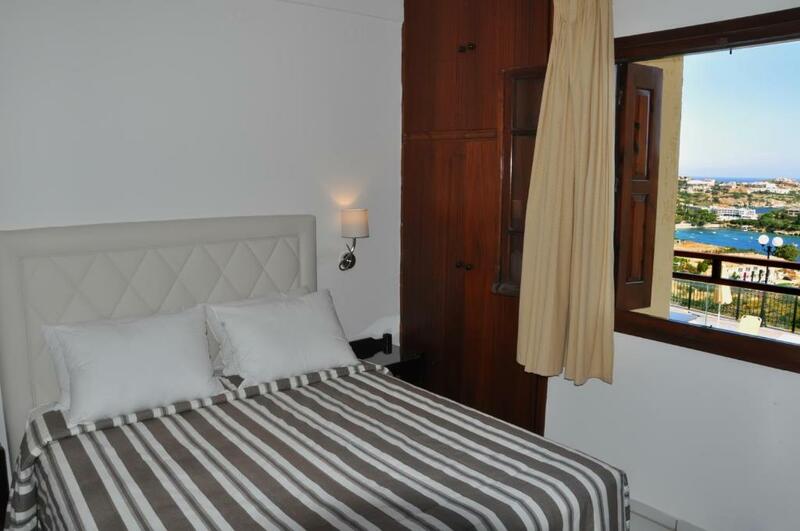 When would you like to stay at Pennystella Apartments? 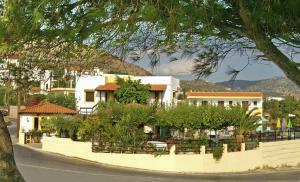 “Pennystella” is a family-run complex of apartments and studios located on the beautiful island of Crete. 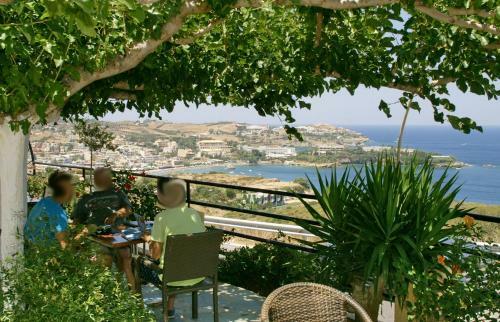 Set on a cliff overlooking the cosmopolitan bay of Agia Pelagia, Pennystella Apartments can provide you a relaxing time away from all worries. Back in 1988 the first complex of Pennystella Apartments was created by Nicolas and Angela on this beautiful hilltop providing a breathtaking view of Agia Pelagia Cove. By 2003 there were 16 apartments and studios up the hill and 3 more in the heart of the village. 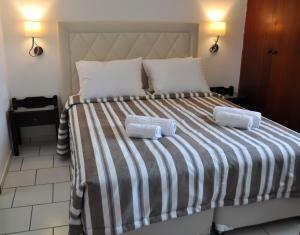 The main facilities consist of two accommodation types, 10 apartments renovated in 2018 and 6 studios completed in 2013. 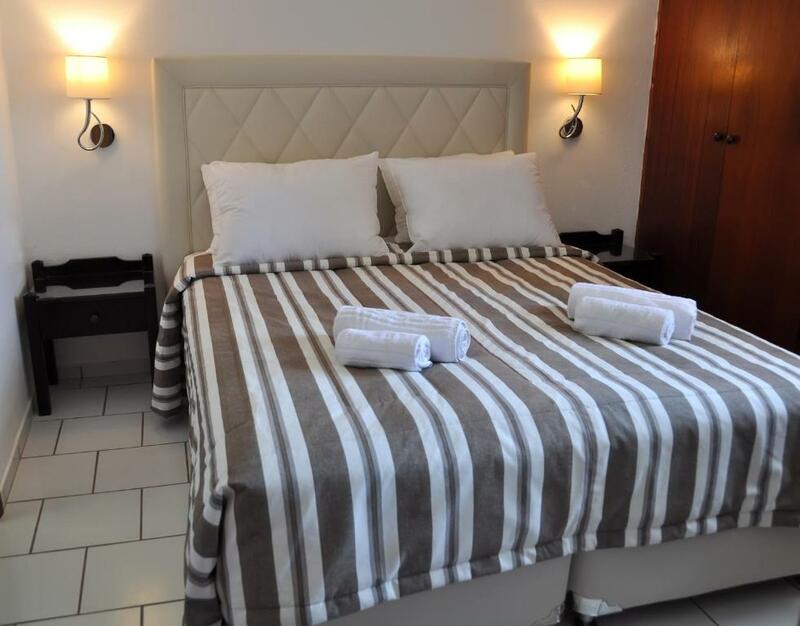 All our rooms provide our guests with a fully equipped kitchenette with all the necessities, new comfortable mattresses, a private terrace or balcony with a beautiful sea view. 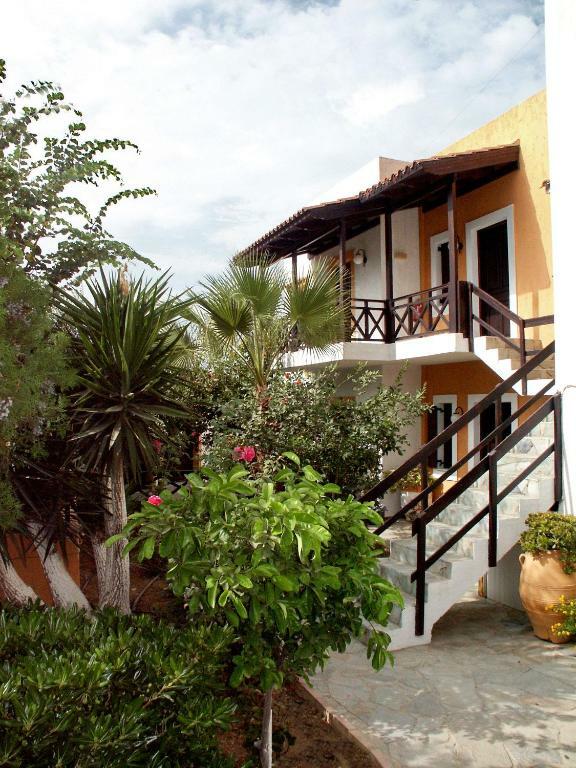 Additionally, all the rooms have easy access to a swimming pool with pleasant cool waters and our traditional family tavern where Angela provides all her guests with freshly cooked meals and Nikolas oversees the drinks and the Barbeque nights! Nikolas and Angela will be your main hosts in Pennystella and from time to time you may have the chance to meet other members of their family. Pennystella is their lifes' work and part of their legacy to their daughters Penny and Stella! They really love their guests and try really hard to keep everyone satisfied! Agia Pelagia is a small coastal town with a lovely beach. The village offers just about anything you will need on your holidays and it is a 20-minute drive to the city of Heraklion, so you won’t miss anything. Even if you want to visit more of the Cretan island, having Agia Pelagia as your base gives you many possibilities due to its location. Surrounded by two smaller Coves, Lyrgaria and Mononaftis, and being close to the most famous places of interest like the Palace of Knossos, the El Greco Museum etc. 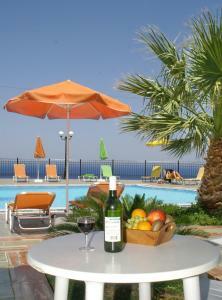 Agia Pelagia is ideal for relaxing holidays in Crete. House Rules Pennystella Apartments takes special requests – add in the next step! Pennystella Apartments accepts these cards and reserves the right to temporarily hold an amount prior to arrival. Location a bit farfrom the sea. Close to the main road and noisy some time. The water in the swimming pool could be a bit warmer. The air conditioning was an unexpected additional cost. Disappointing but my only criticism. Apartment was a bit tight for four people (incl. two children). The bathroom is not comfortable: you have to hold the shower and the lack of shower curtain/cell makes the whole bathroom wet.